Heavy overnight last Friday that dragged on into Saturday accounted for Tynemouth’s Second and Third team fixtures at Preston Avenue. However, the tenacious First Team hung around for an eventual 3pm start at Chester-le-Street with the Premier League fixture being reduced to 70 overs. Tynemouth inserted their hosts after winning the choice and soon regretted their decision as Simon Birtwisle (61) and George Harrison (54) posted 123 for the first wicket. Tahir Khan, as first change bowler, took a toll of the Chester main order with an impressive 5-61 off 11 overs. Ryan Macciocchi was also inspired and took 4-32 off 8.3 overs. Chester posted 180-9 and declared after 32.3 overs. Tynemouth’s innings saw a good start from openers Ben Debnam (49) and Nick Armstrong (20) with Phil Morse scoring another 20 at number three. 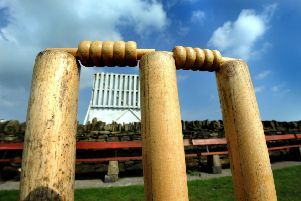 However, wickets began to fall steadily and Tynemouth had to hold on warily with 37 overs to survive. At 105-5 this was looking difficult but Andrew Smith (8 not out) and Chris Fairley (8) saw off eight overs between them to secure a losing draw at 121-7. At least there was a ray of hope for the future at the weekend as Tynemouth’s Under 11 ‘Montagues’ enjoyed a close game at Bates Cottages. The keen lads lost by five but fielded four players who were playing their very first ever game of cricket. The whole team bowled and fielded very well but were perhaps let down by their running between the wickets. The team were extremely well presented in their brand new kit provided by Ewan Bramley Dental Care.